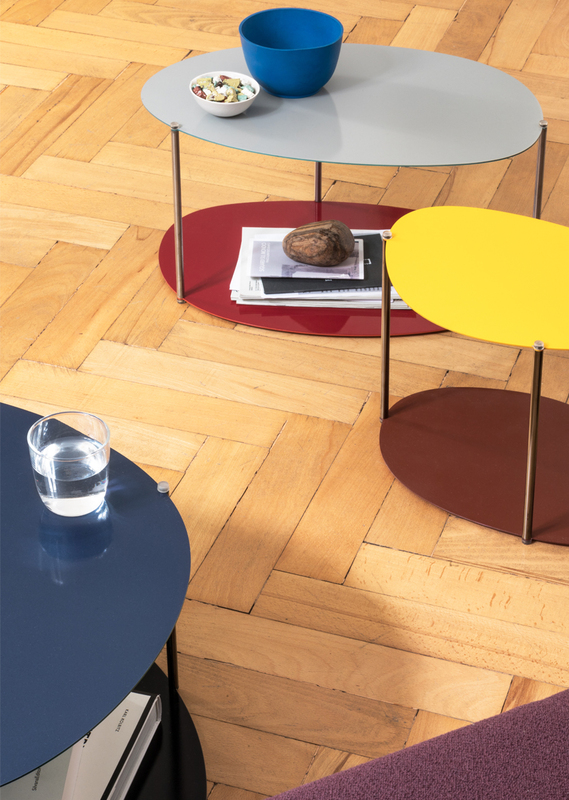 The three small tables all share an organic, fluid form which complement each other when furnishing a space. However, there’s an additional feature. They can be flipped upside-down. They are two-sided – there’s no “underside”. 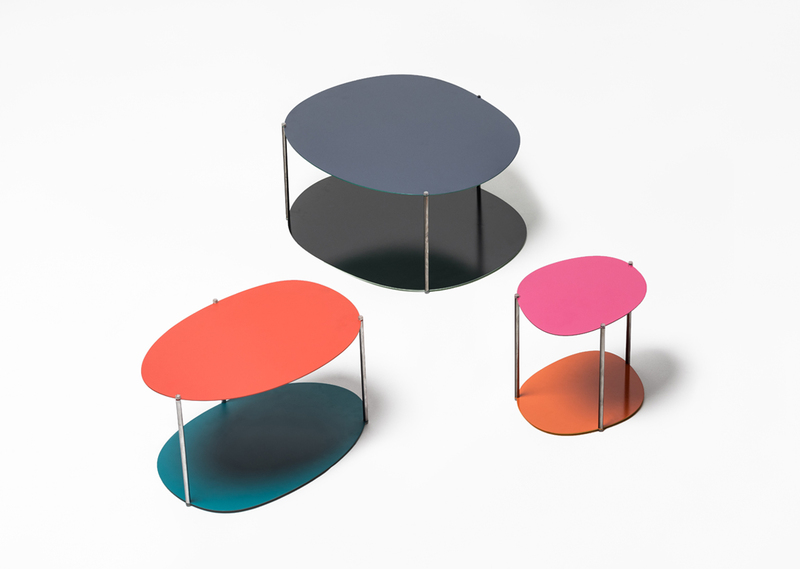 The two visible tabletops on each table are painted in two contrasting colours. Additionally, the hidden surfaces on each of the tabletops have two other different colours. This means that each table has a total of four different colours but only one pair is visible on the tabletops at any one time. 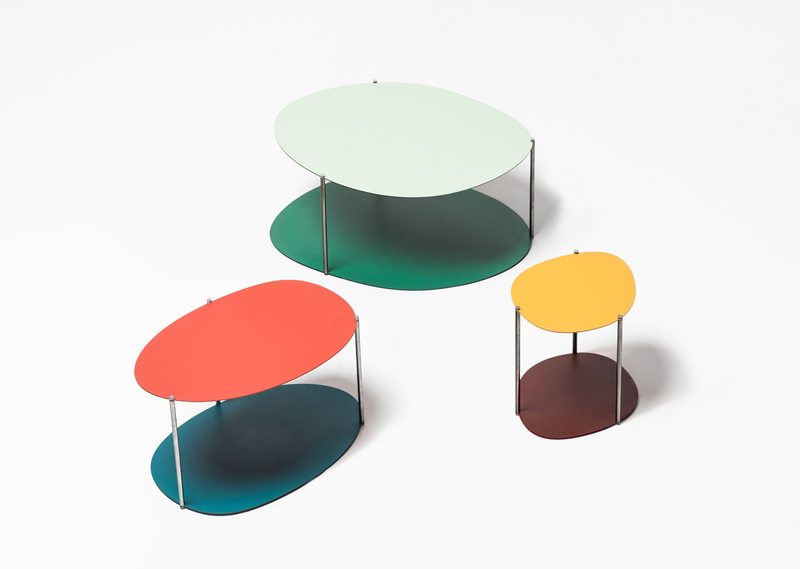 Since each of the three tables has two visible colours – and also two other colours which become visible when turning the table – there are 12 colours that can be viewed in six colour pairs. Each colour pair mixes well with the other five colour pairs, meaning that there are many possible colour combinations. Our intention is that they are supposed to be used together in groups of three to six tables. The different colours – but still complementary with each other – adds energy and joy to almost any furnishing setting. Their relatively small size also adds an element of cuteness to the design.